The Battlefield franchise enters a new era equipped with more firepower, modernized weaponry and vehicles, and a deeper infantry experience from the jungles to the beaches of Vietnam. Go to war in new dramatic battle scenarios including leading a squadron of Huey helicopters in an all-out attack on an enemy compound, executing an ambush of enemy soldiers from dense foliage, captaining a PT boat through a dangerous jungle river passage, and more. Grab your M-16, ready the Napalm and prepare to enter some of the fiercest battles of the Vietnam War. From villages on the Ho Chi Minh Trail to the city streets of Hue, wage modern warfare as the United States or North Vietnamese Army (NVA). The game features a large variety of maps based on historical settings, such as the Ho Chi Minh Trail, Battle of Hue, Ia Drang Valley, Operation Flaming Dart, The Battle of Khe Sanh and Fall of Saigon. 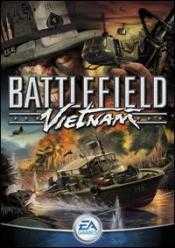 Many parts of the game have been influenced by popular Vietnam War movies. Examples are the player's ability to play Ride of the Valkyries on the radio and the tiger striped M79 from Apocalypse Now. Select from a variety of characters within the different soldier classes as you command powerful new vehicles including the UH-1 Huey helicopter, the M551 Sheridan tank, and the F-4 Phantom fighter jet on the U.S. side and the Russian-made T-54 tank, the MIG-21, and Mi-8 multipurpose helicopter on the NVA side.